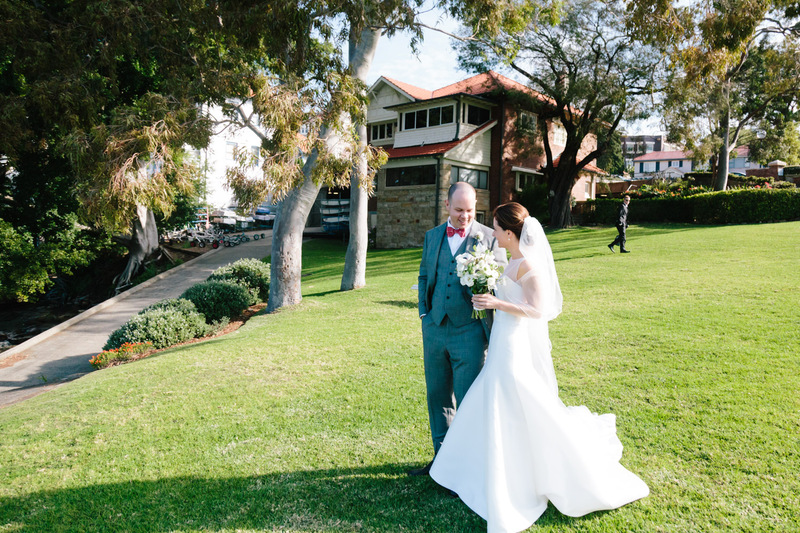 Allow me to introduce a wedding that was perhaps one of the most enjoyable of 2016: this is the Royal Sydney Yacht Squadron wedding of Sarah and Alex. 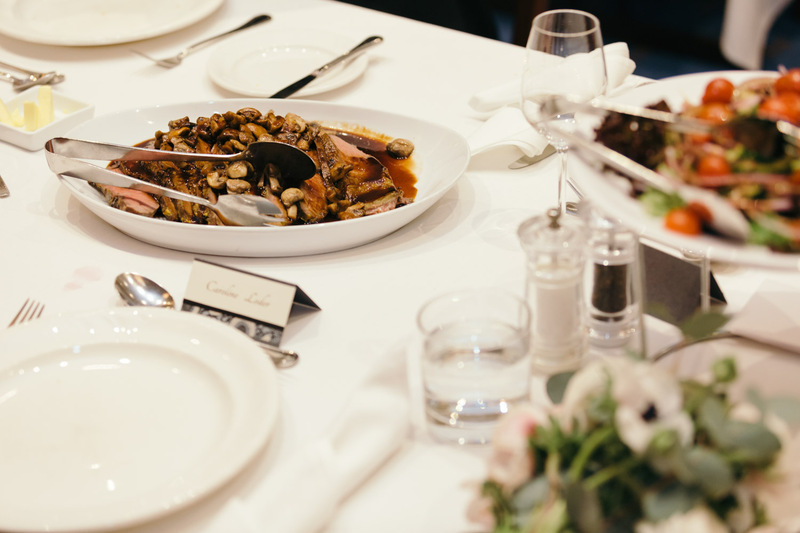 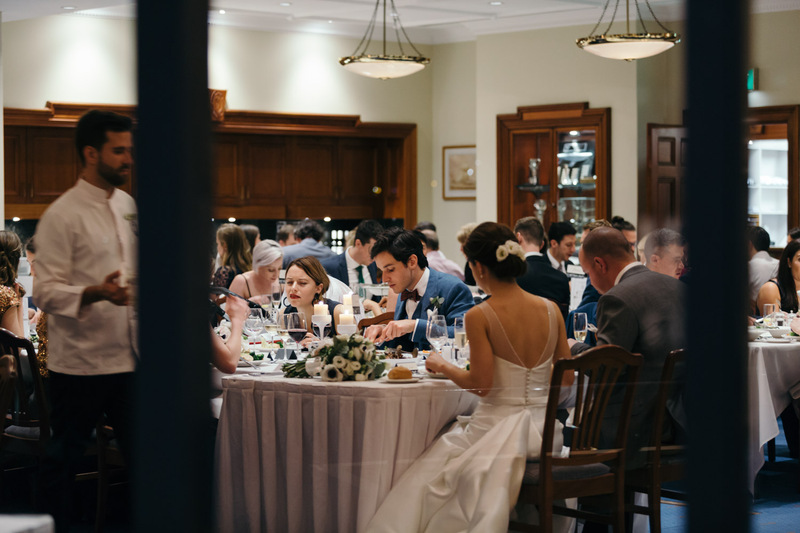 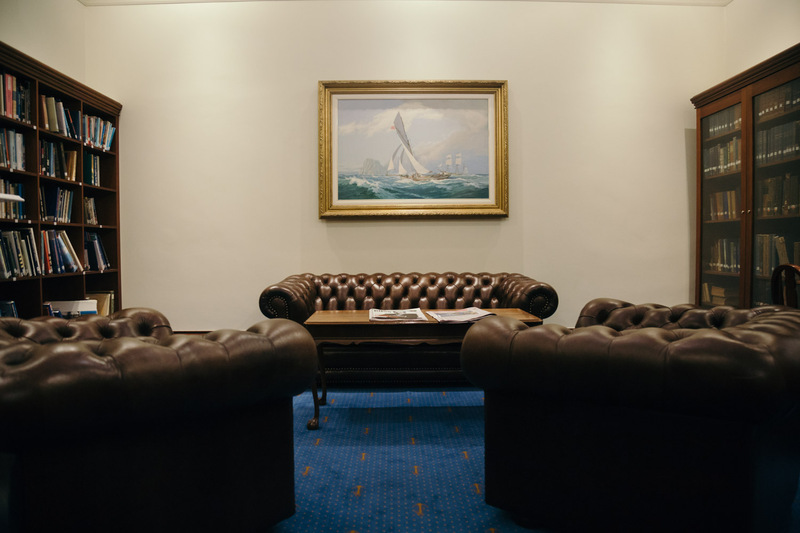 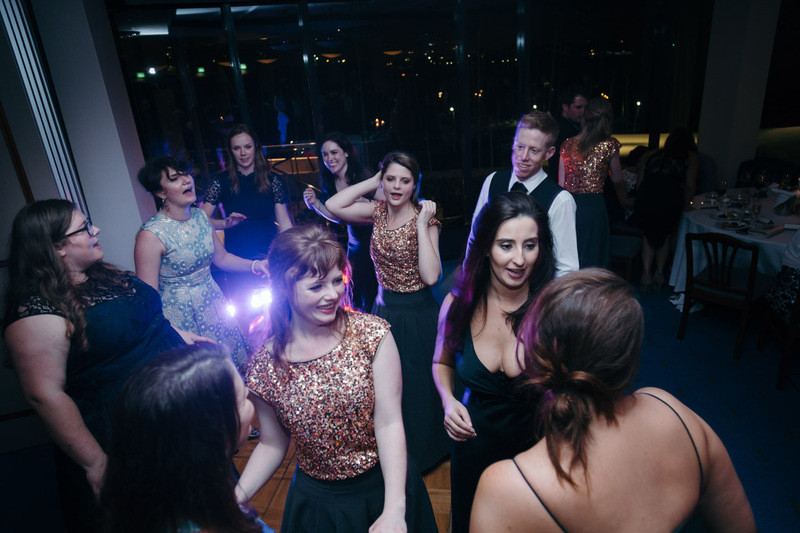 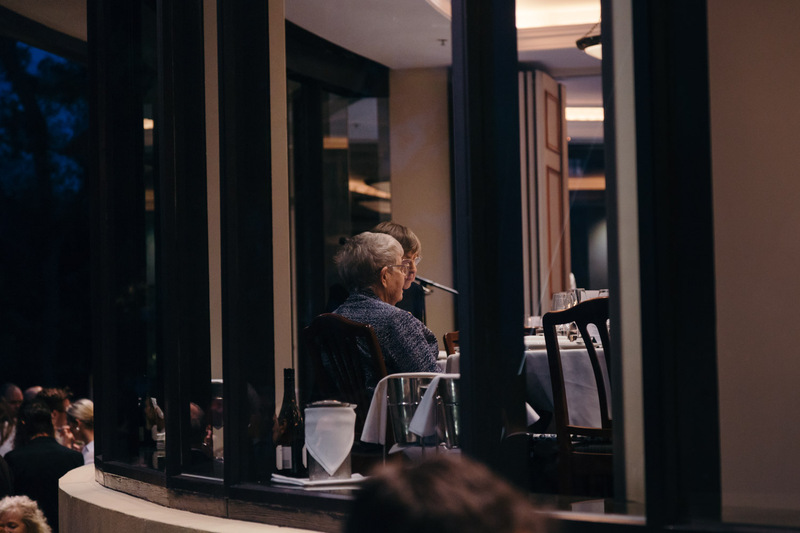 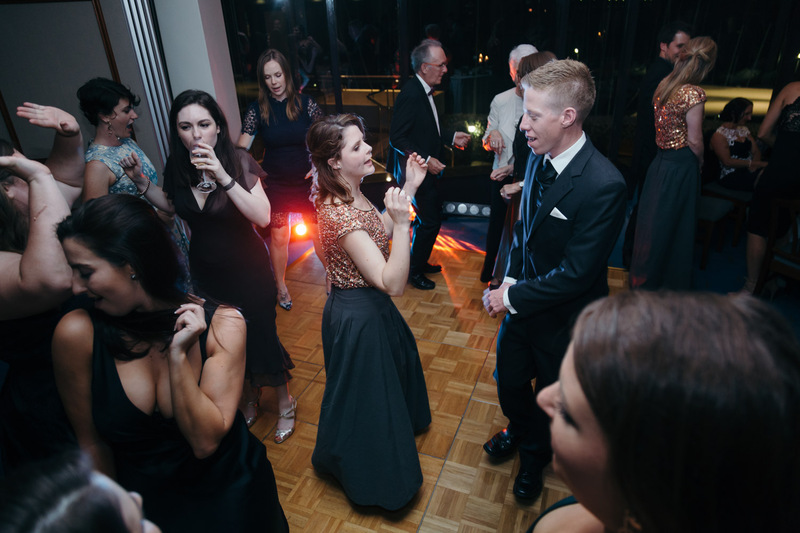 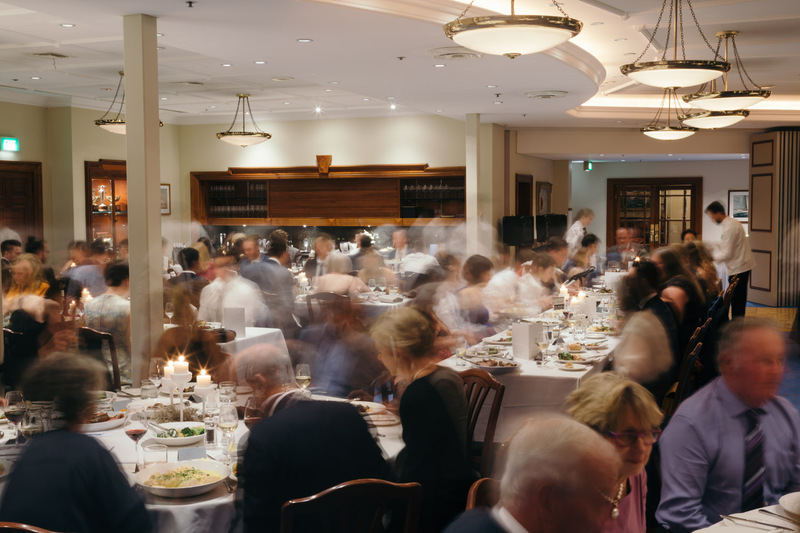 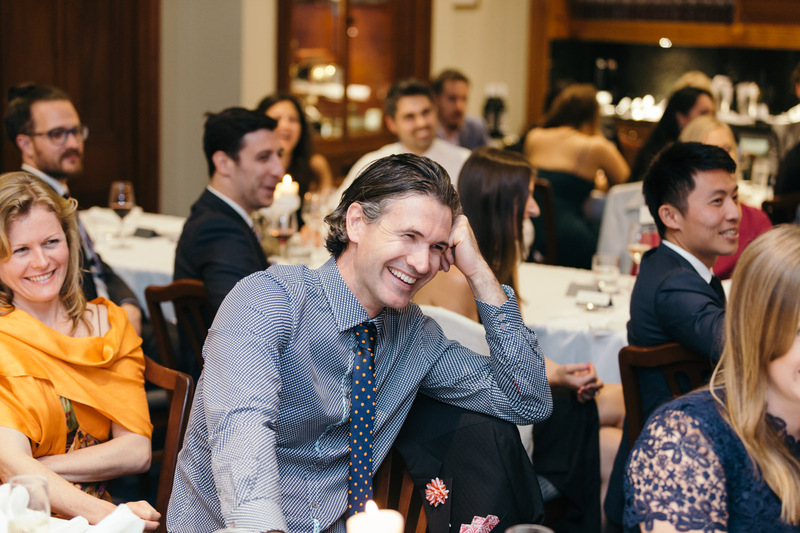 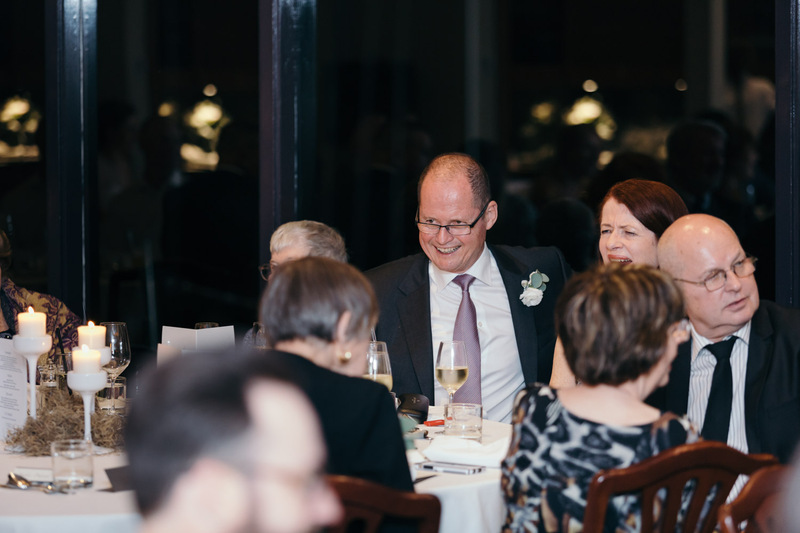 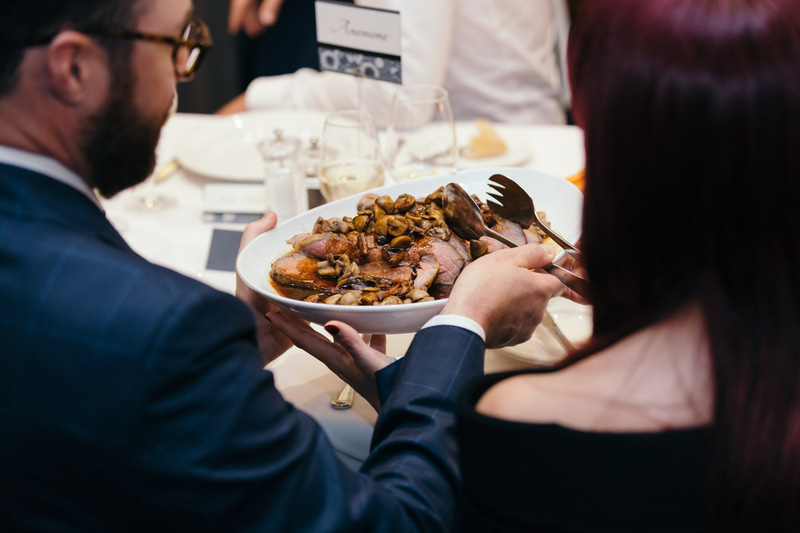 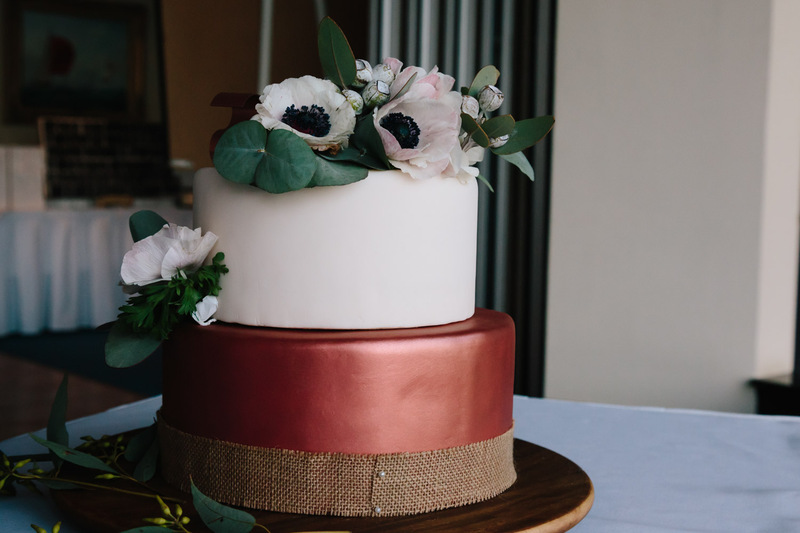 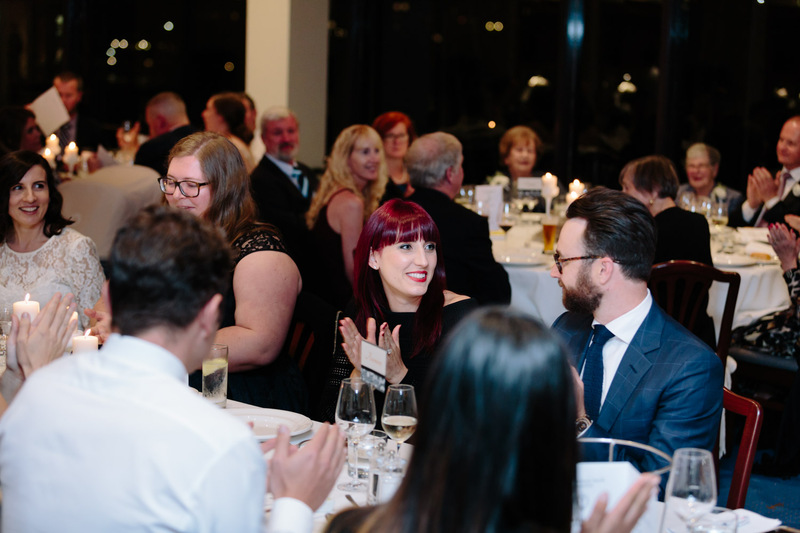 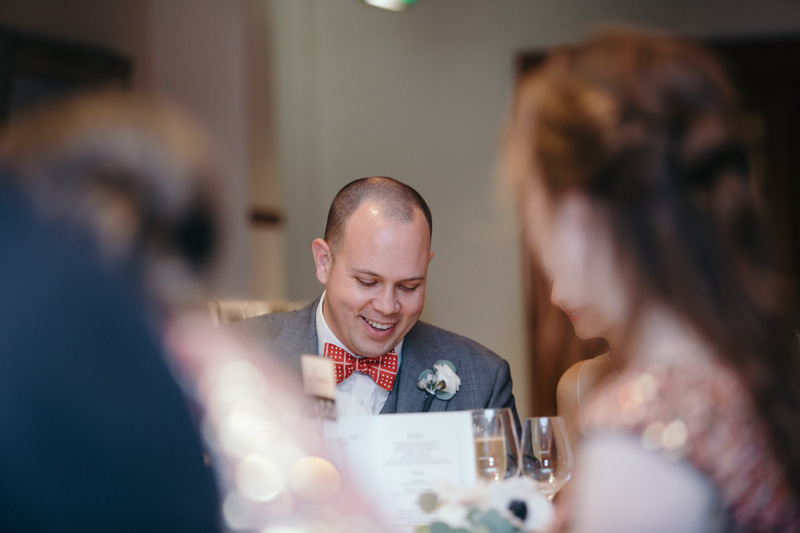 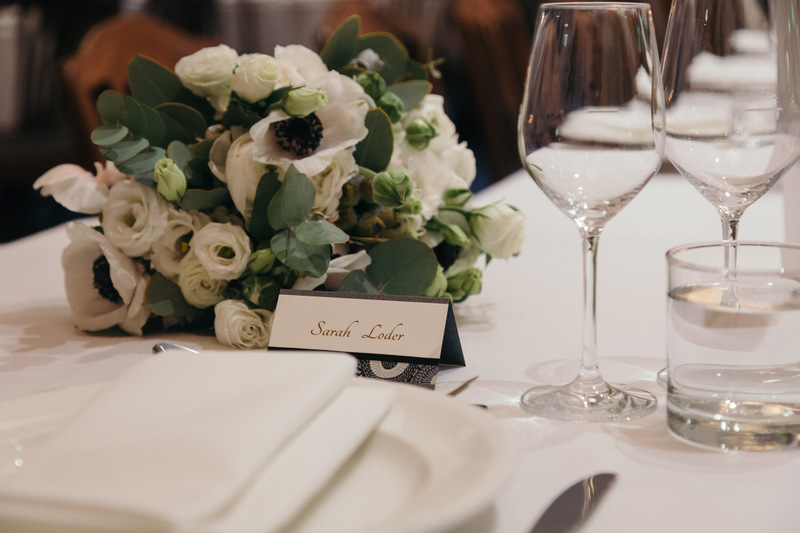 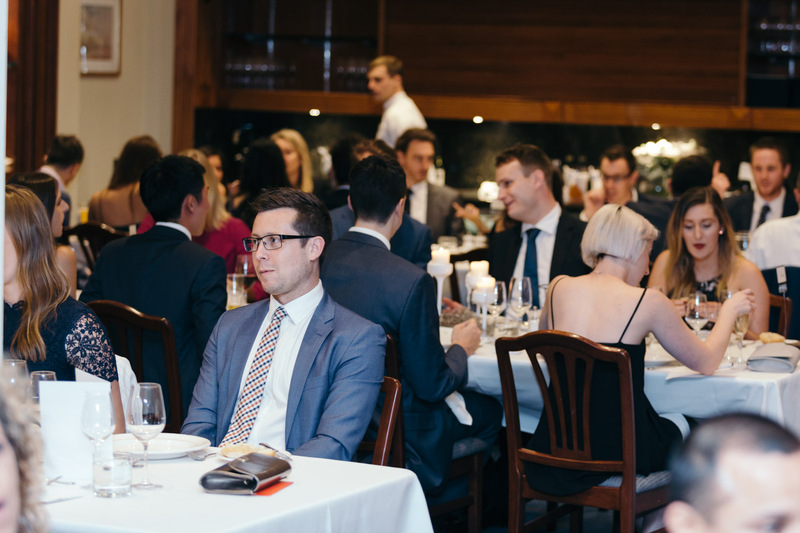 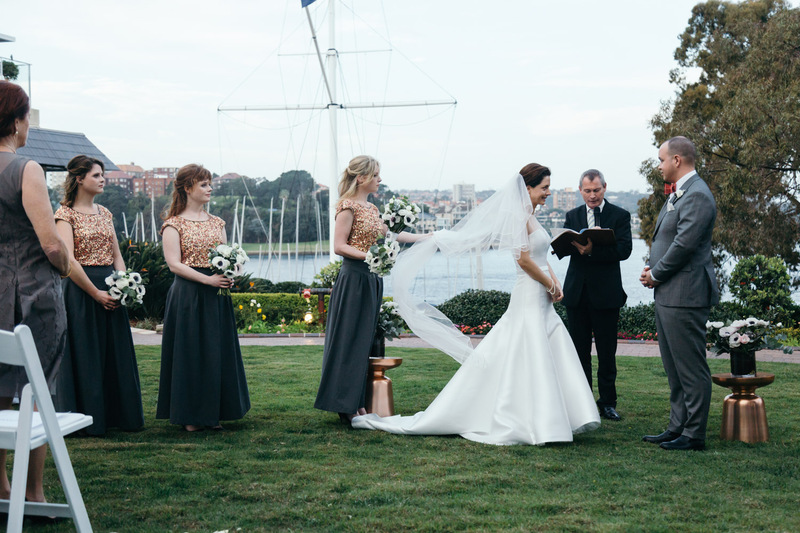 There is perhaps no other more esteemed wedding occasion in Sydney than a wedding reception held at the Royal Sydney Yacht Squadron. 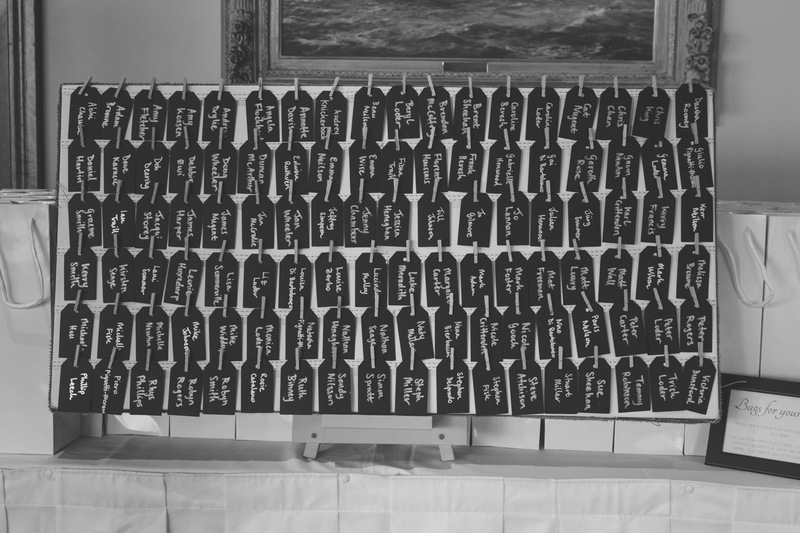 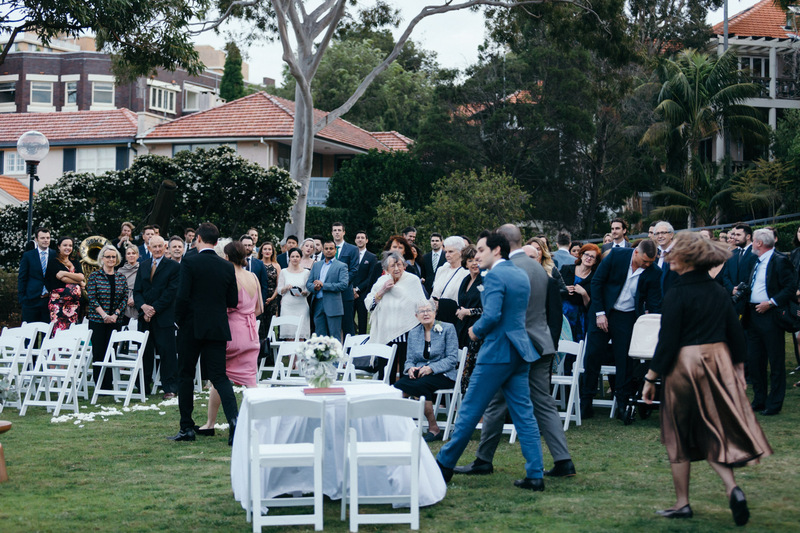 This wedding oozed class! 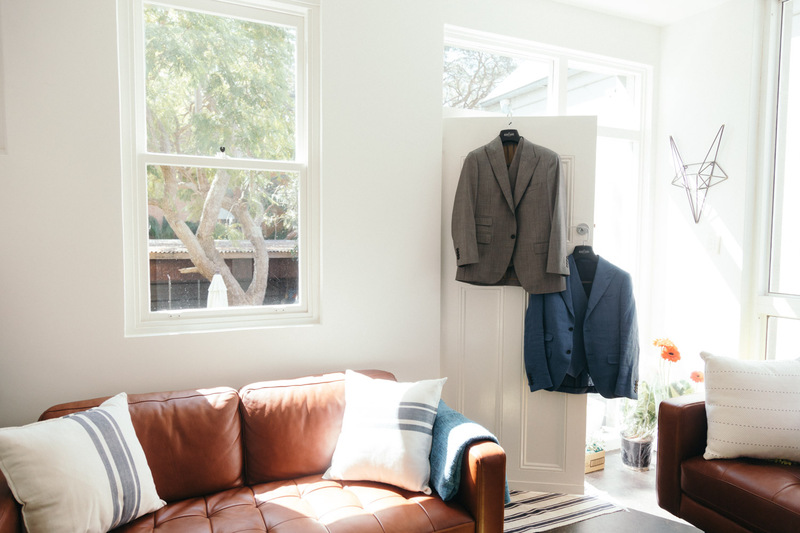 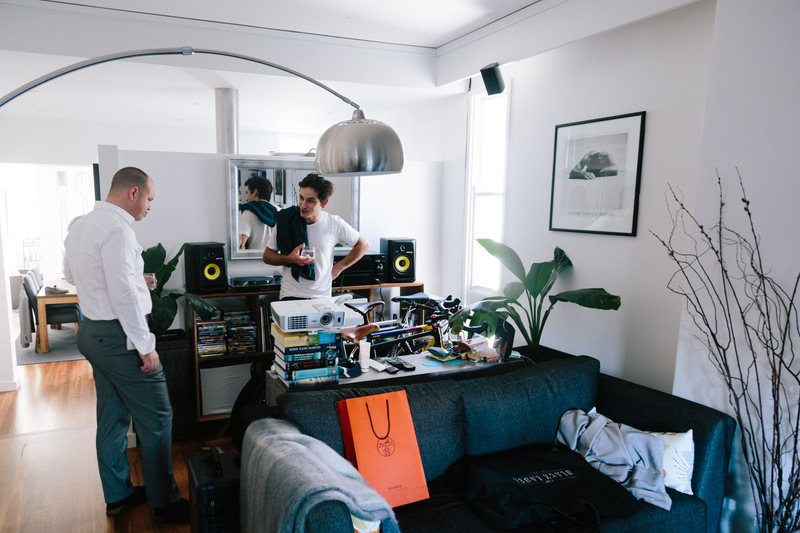 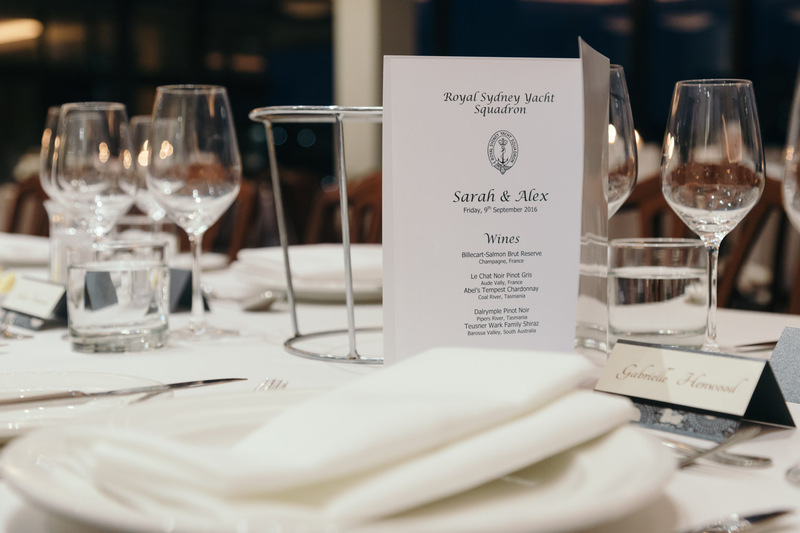 Well… OK, maybe if Sarah and Alex were married at Kirribilli House, then THAT would be the most prestigious, but I don’t think that you can simply “hire” Kirribilli House for a night. 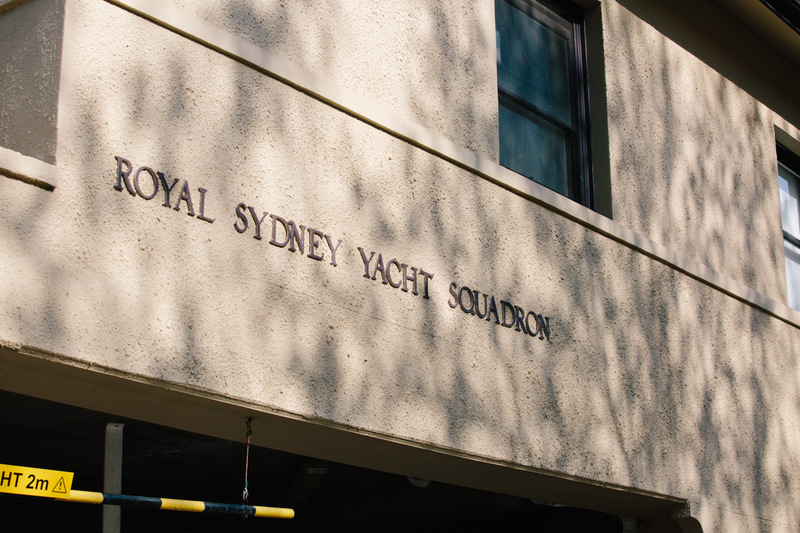 And although the Royal Sydney Yacht Squadron is literally next door to Kirribilli House, I don’t recommend jumping the fence. 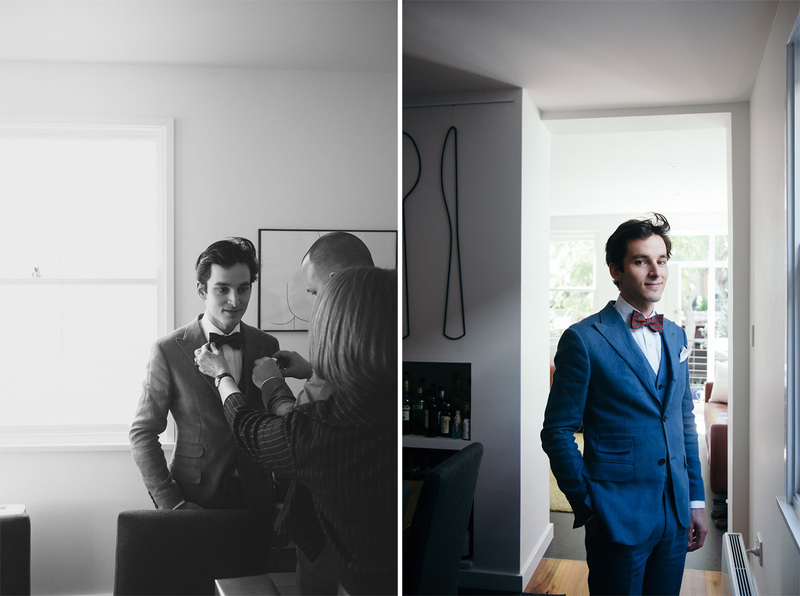 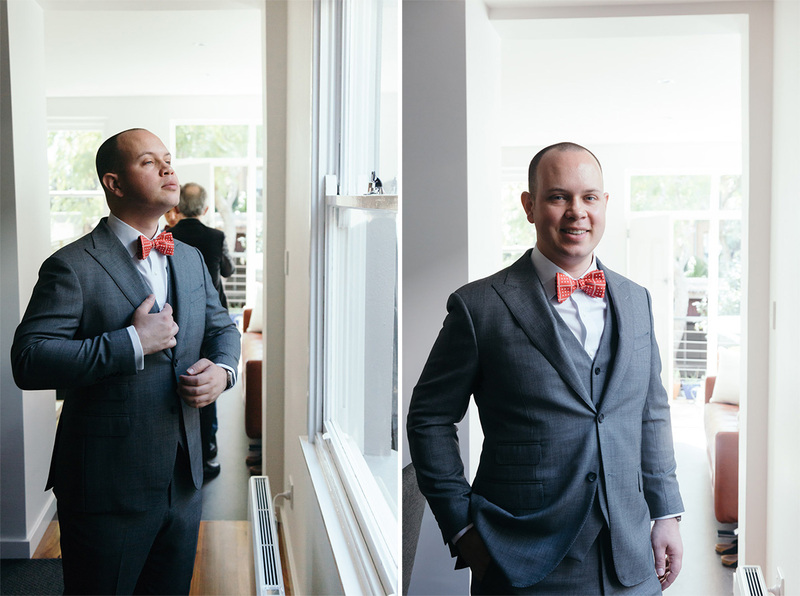 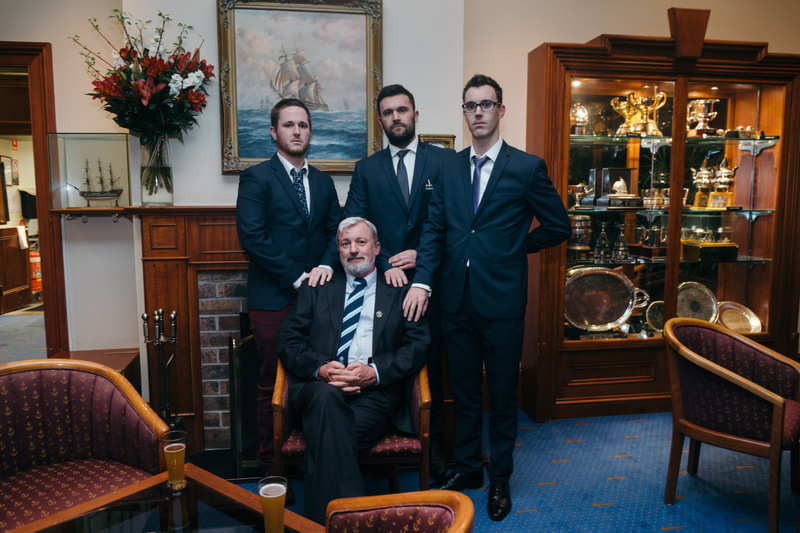 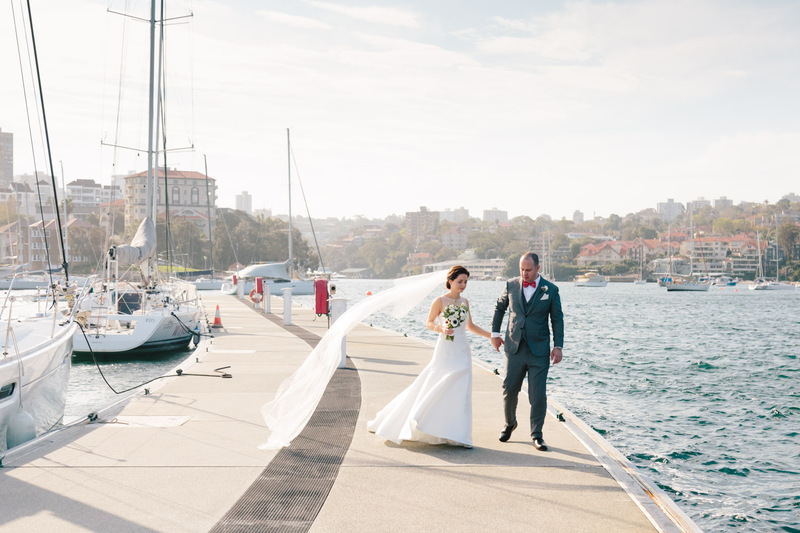 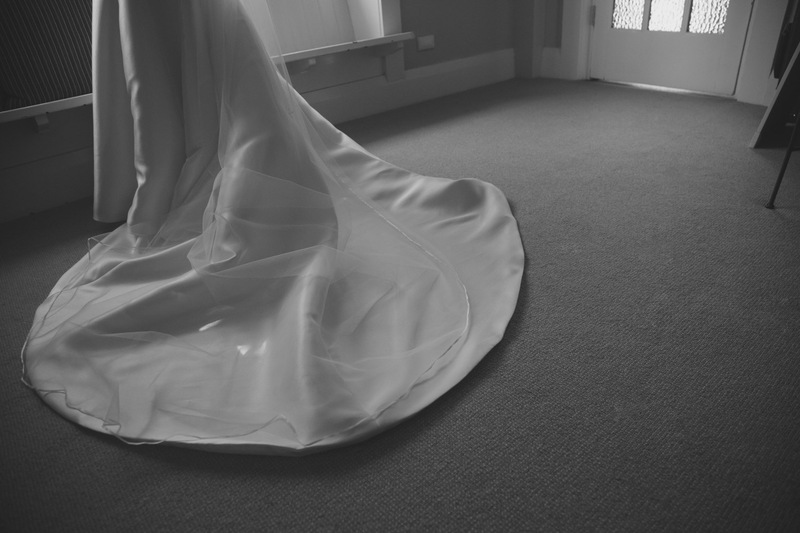 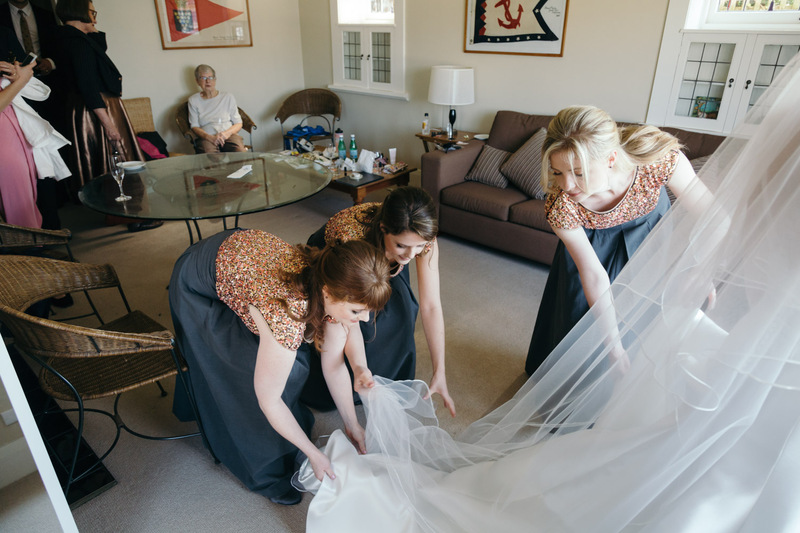 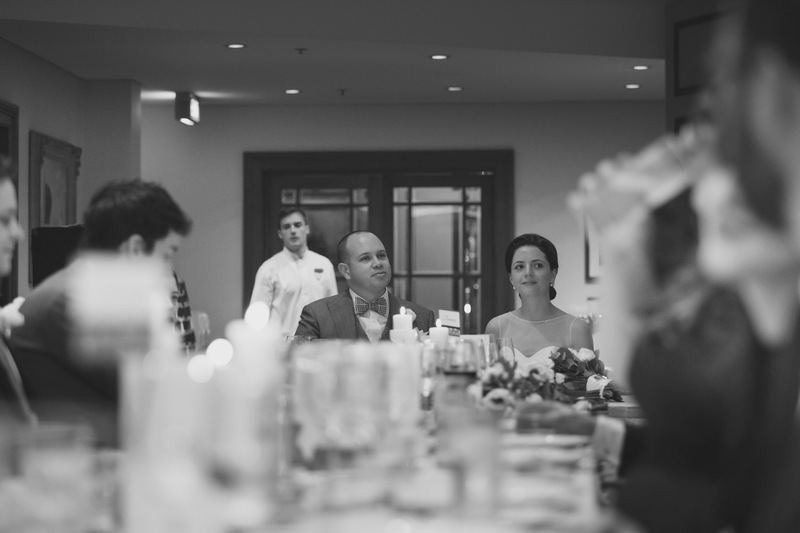 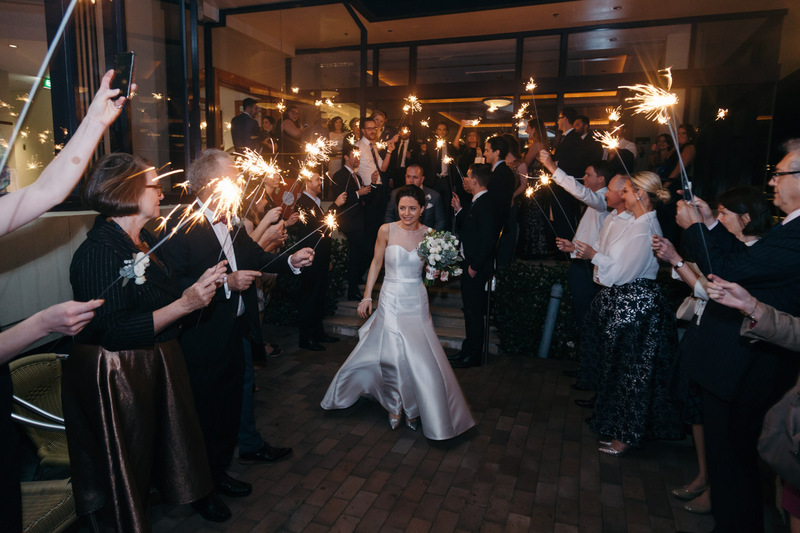 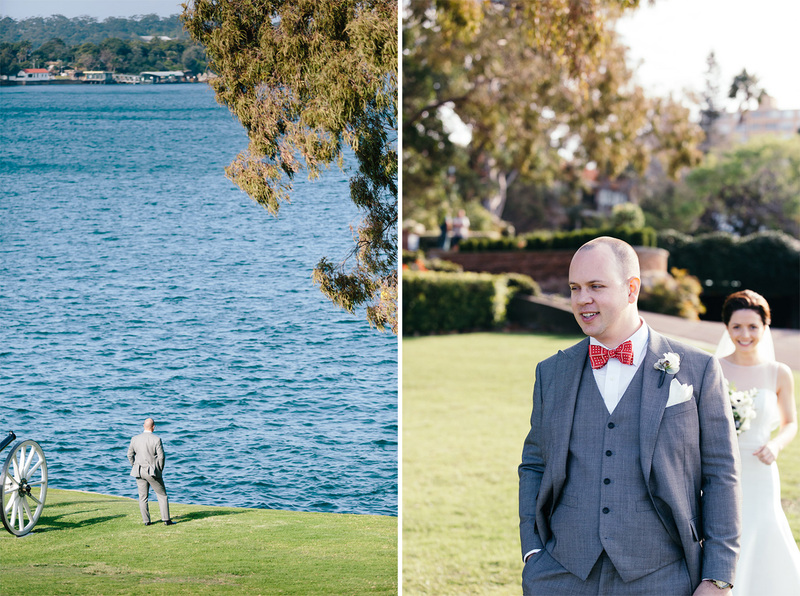 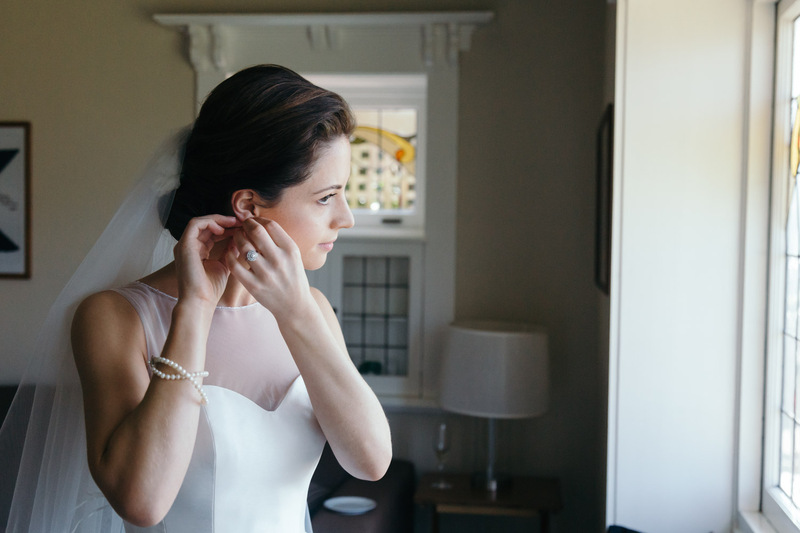 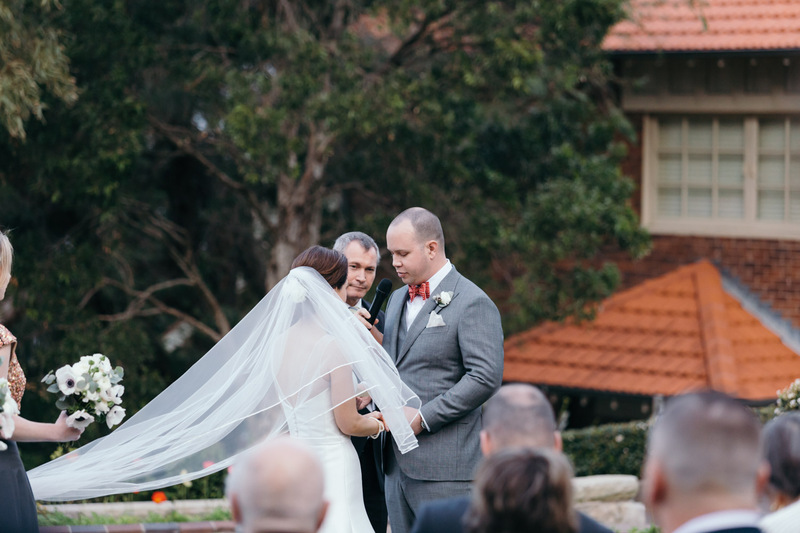 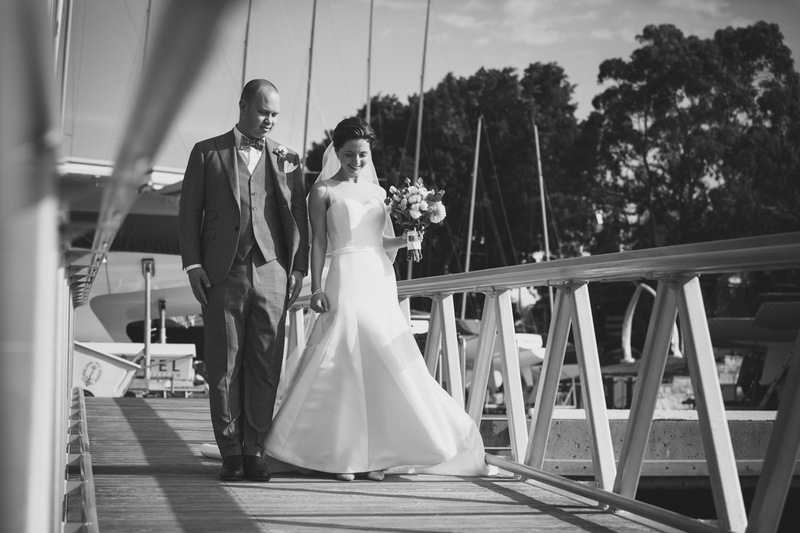 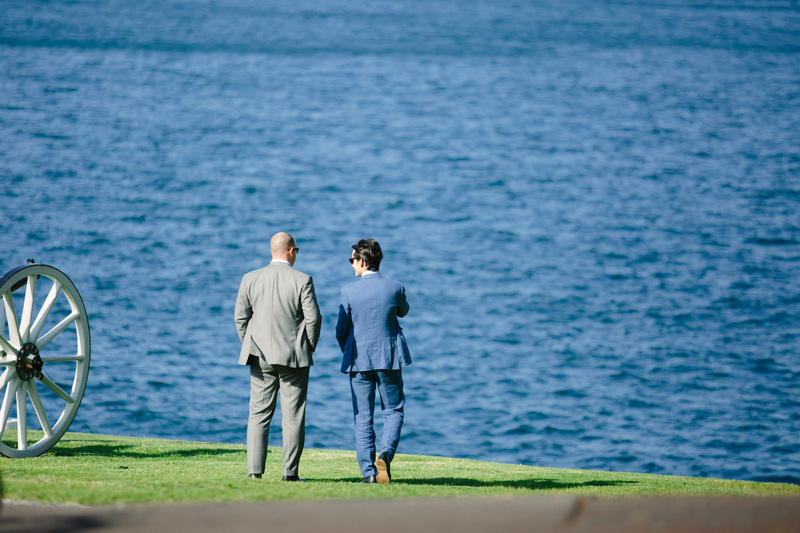 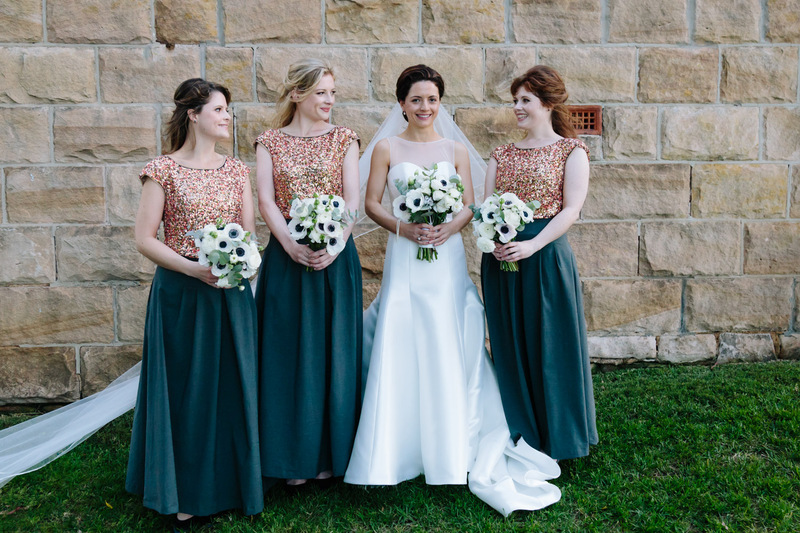 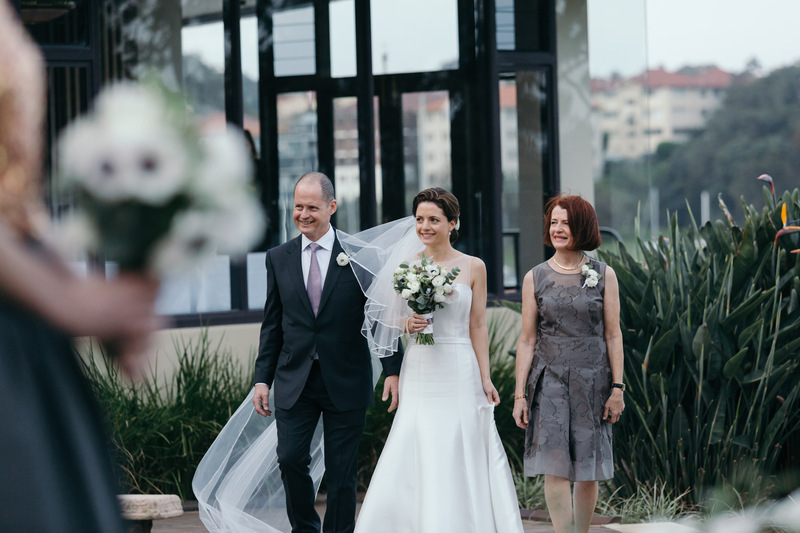 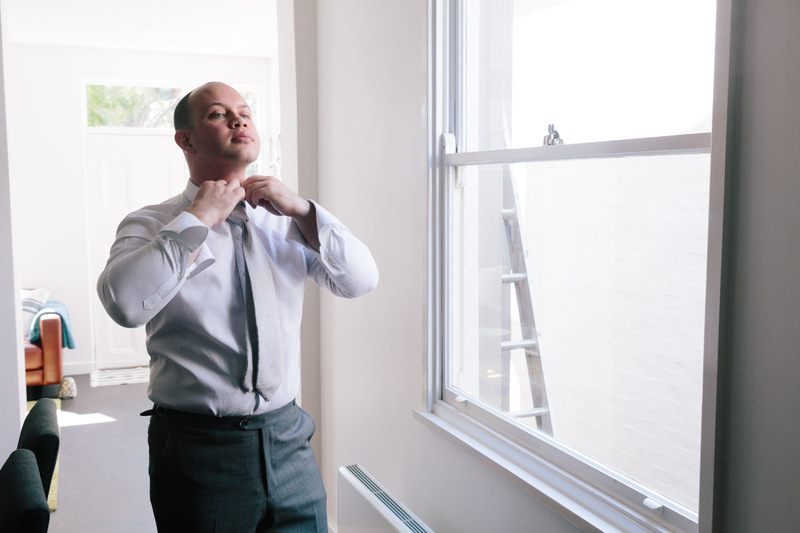 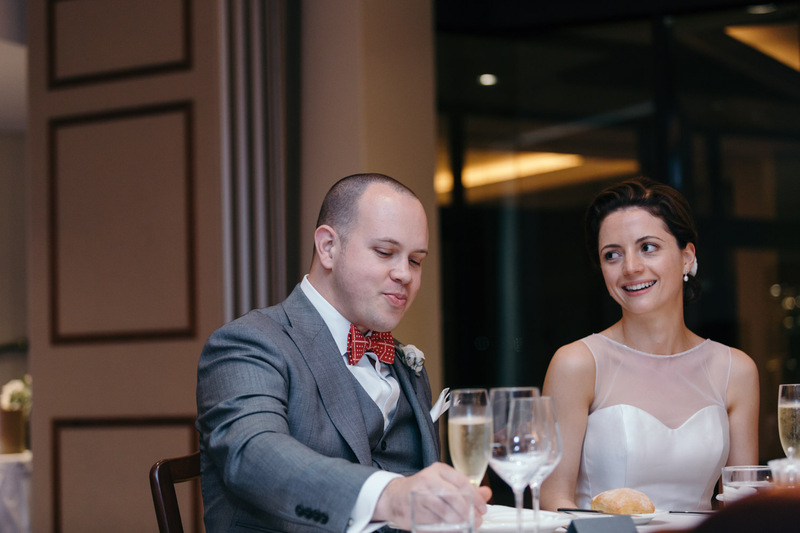 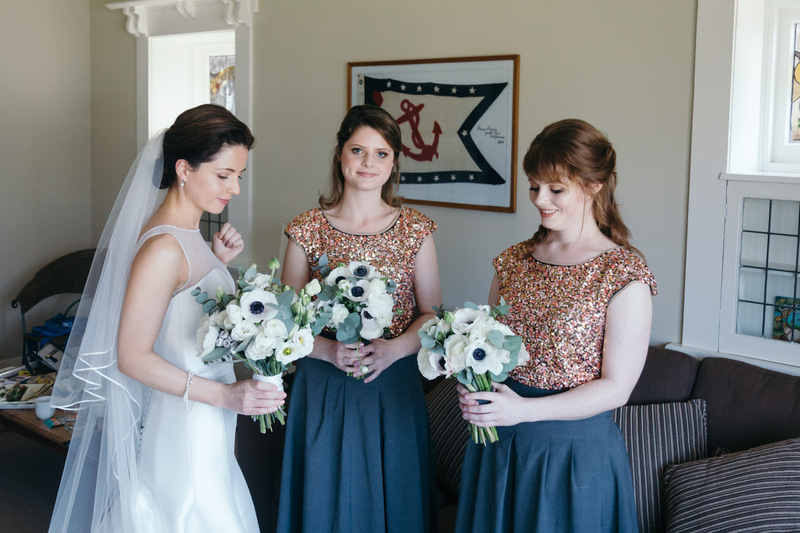 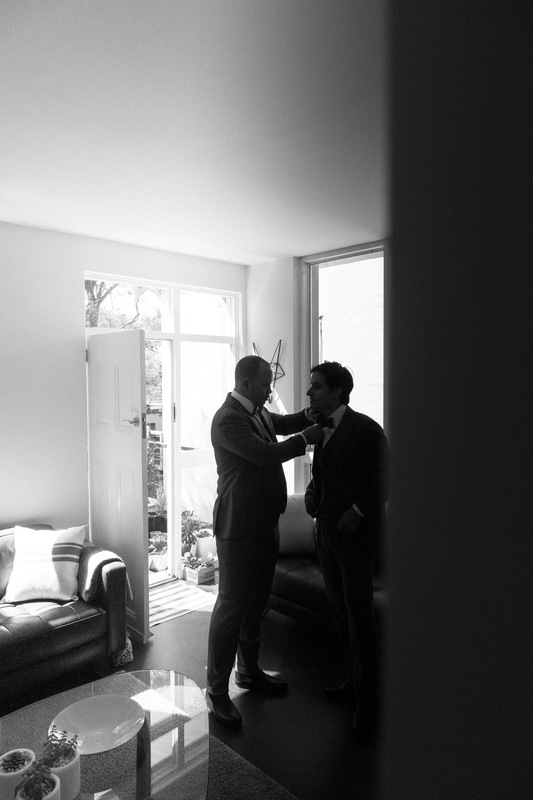 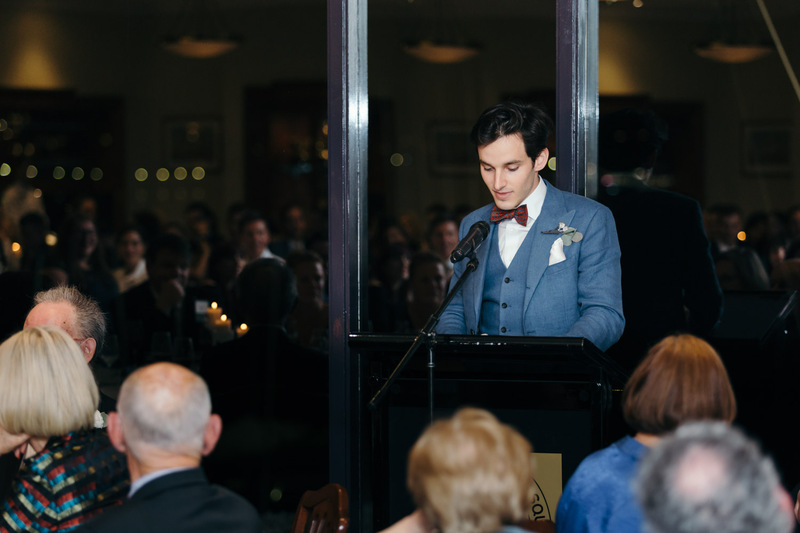 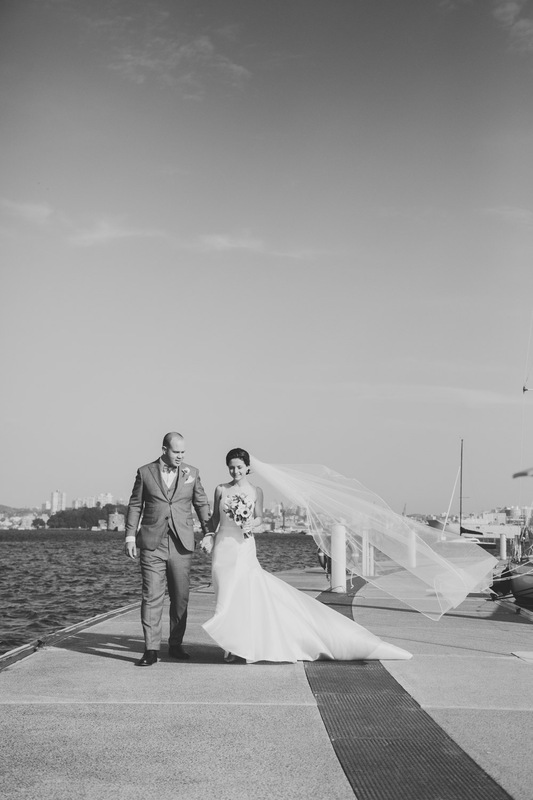 Sarah and Alex’s Royal Sydney Yacht Squadron wedding was really quite stunning. 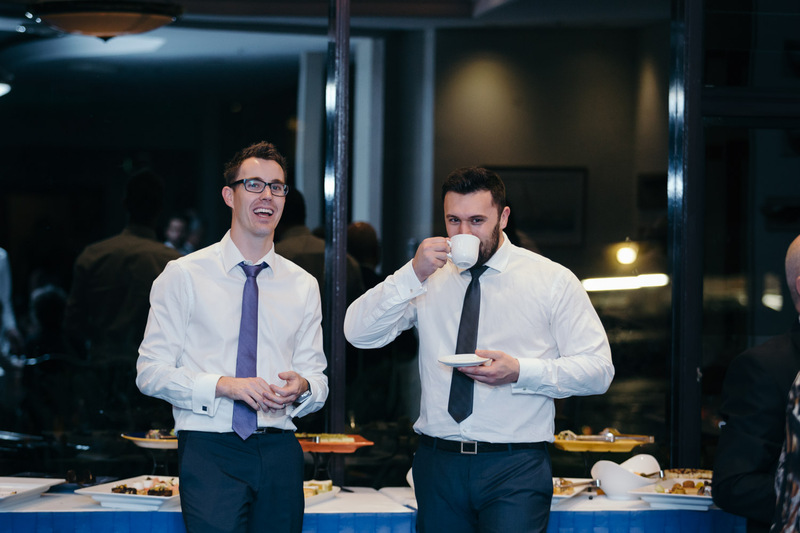 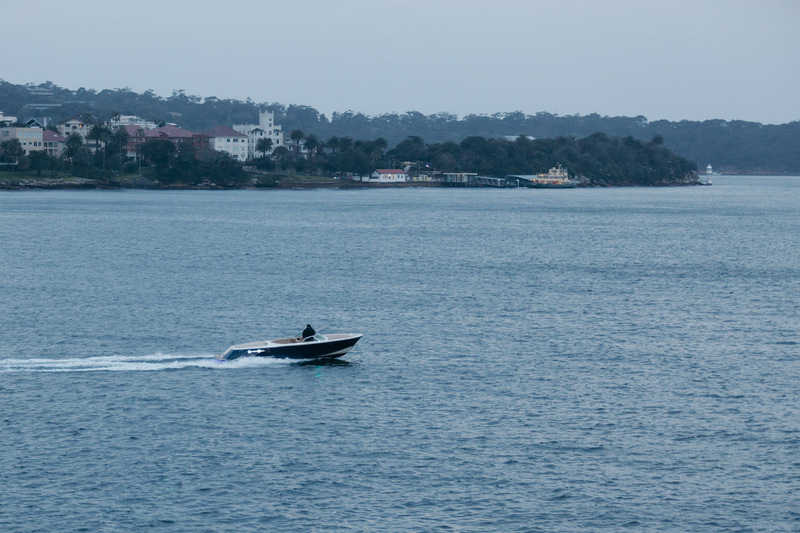 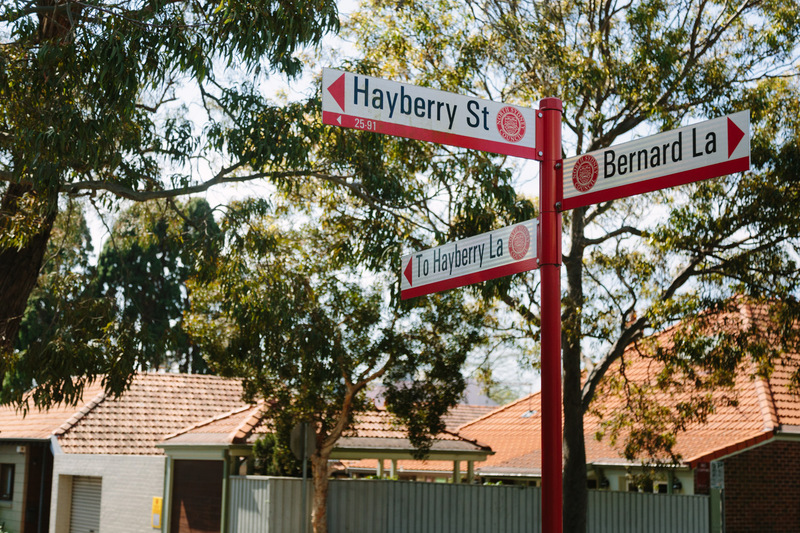 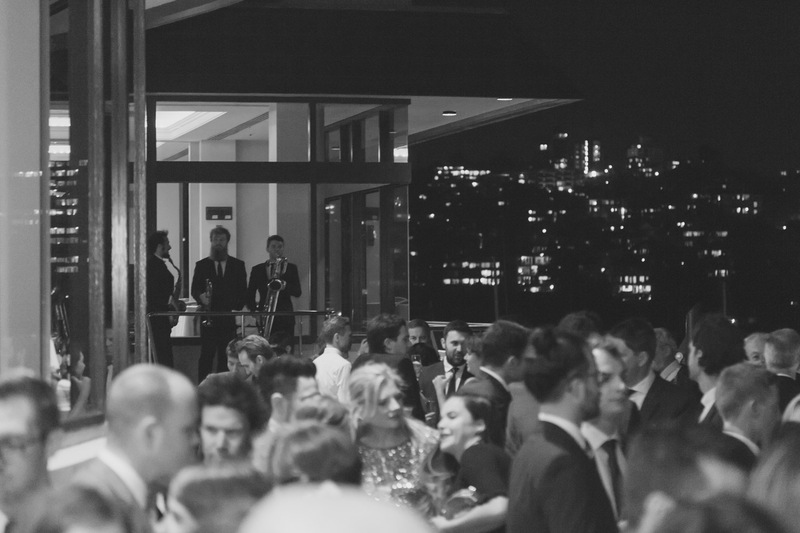 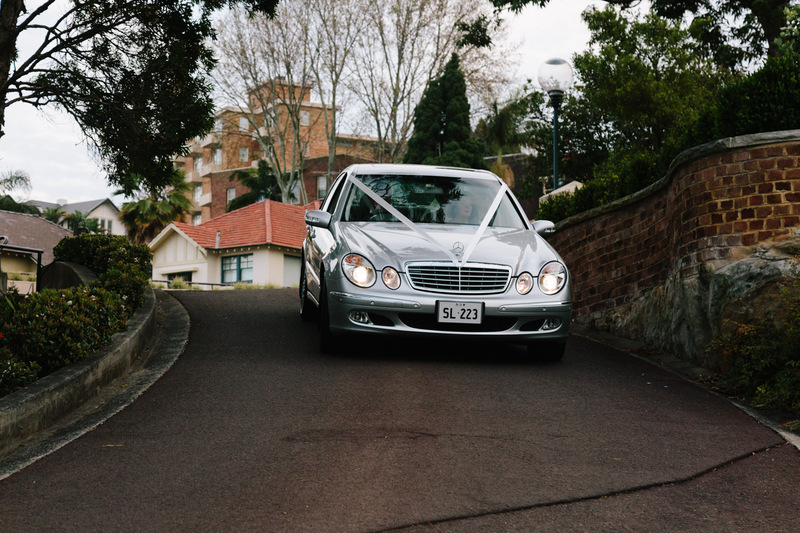 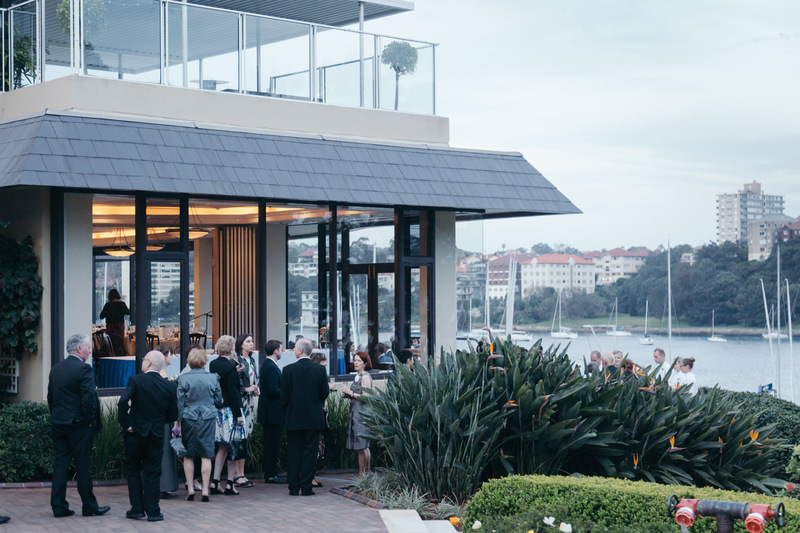 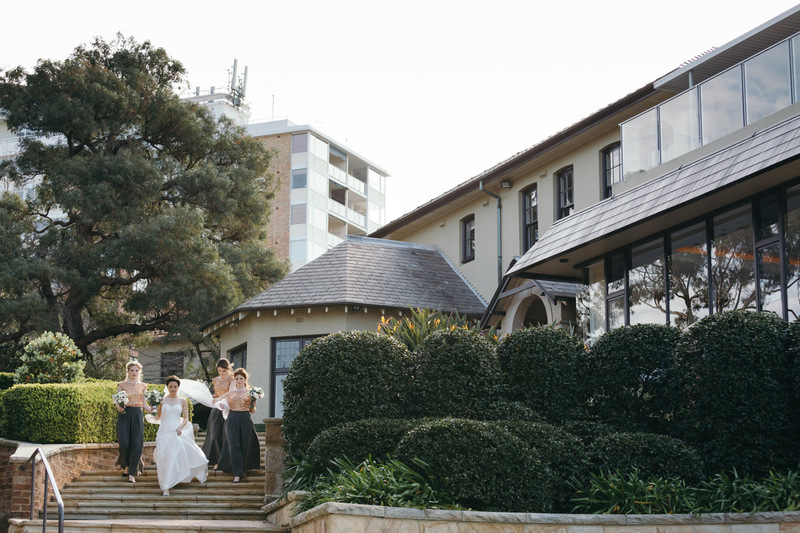 The venue is located on the waterfront in Kirribilli and has amazing Sydney Harbour and CBD views. 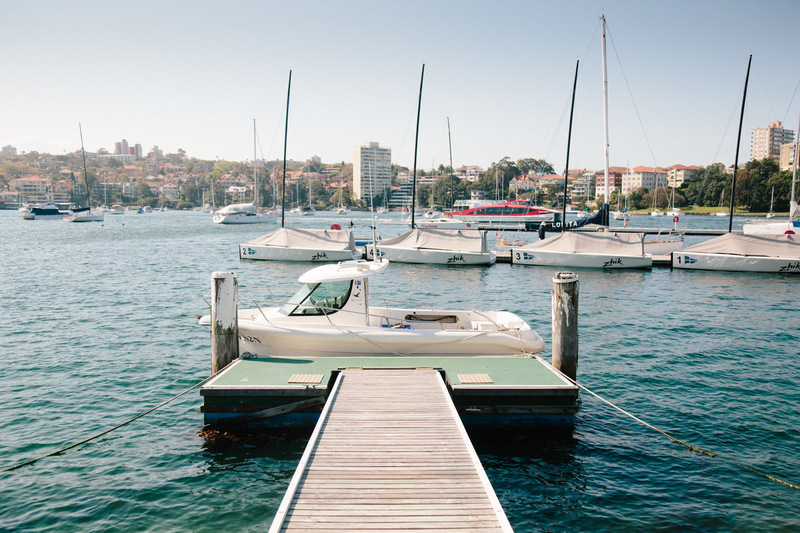 The club has a large working jetty that stretches about 100 metres around the clubhouse and forms a “pond” for member yachts to moor. 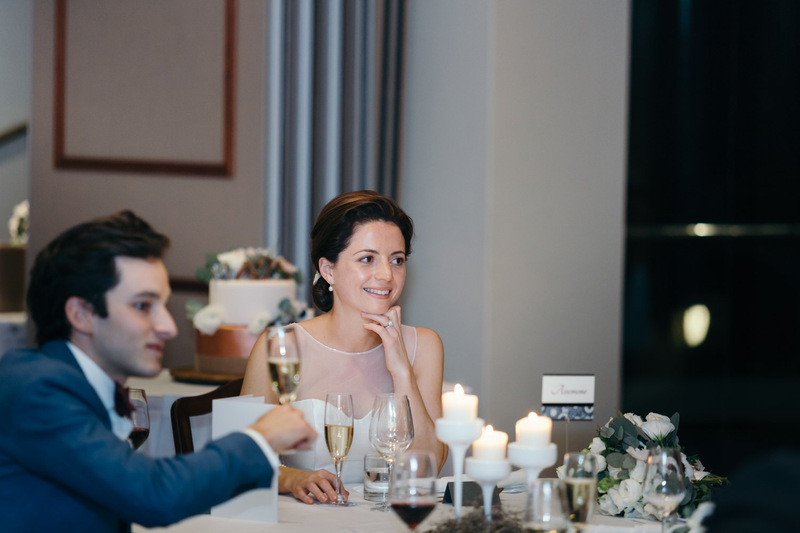 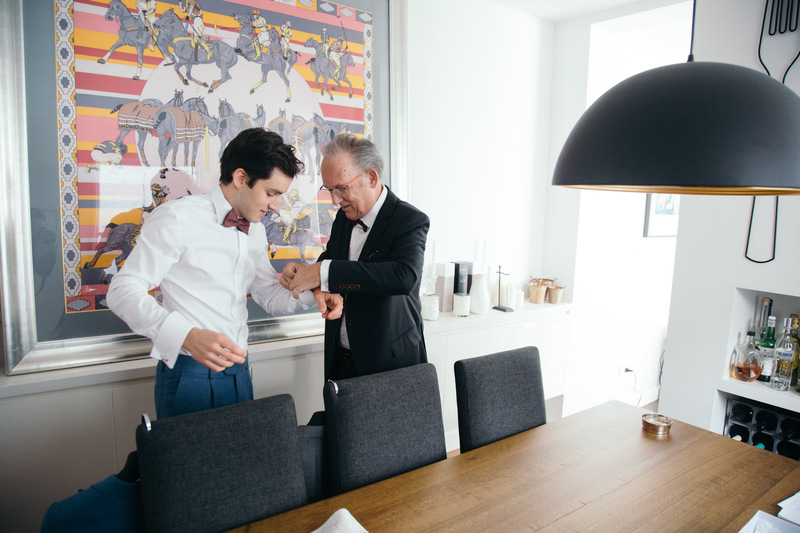 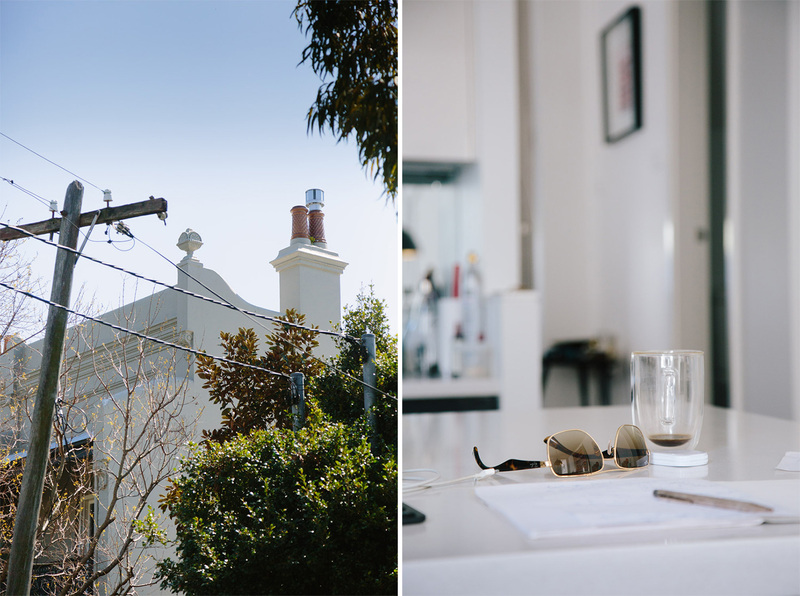 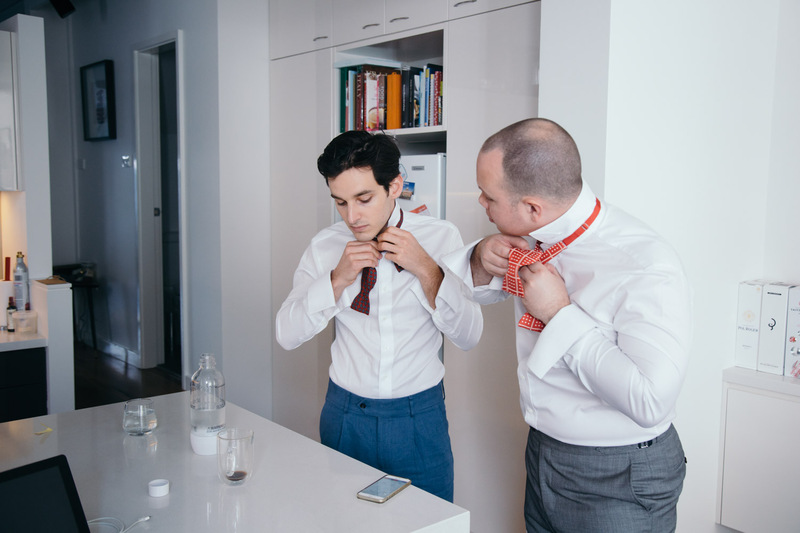 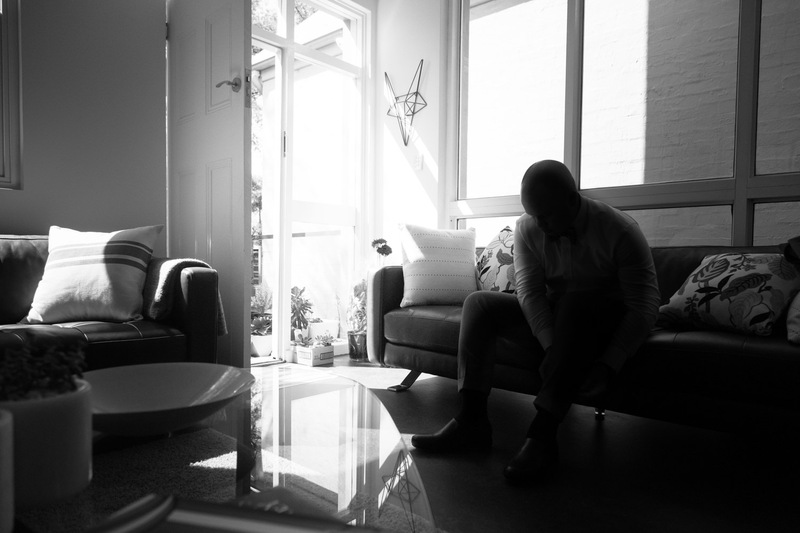 I enjoy working with couples just like Sarah and Alex – super chilled and heaps of fun! 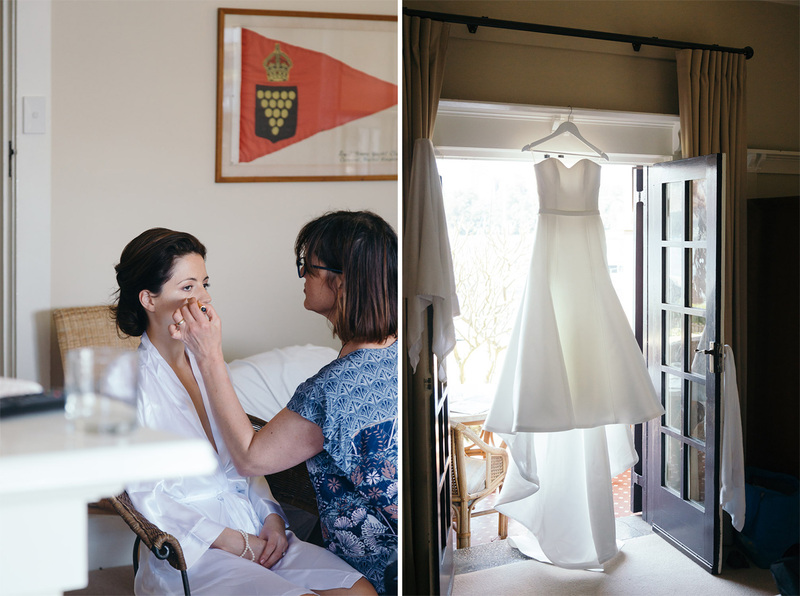 Sarah and Alex were awesome clients – my organic, candid, photojournalistic approach to weddings worked really well on their wedding day. 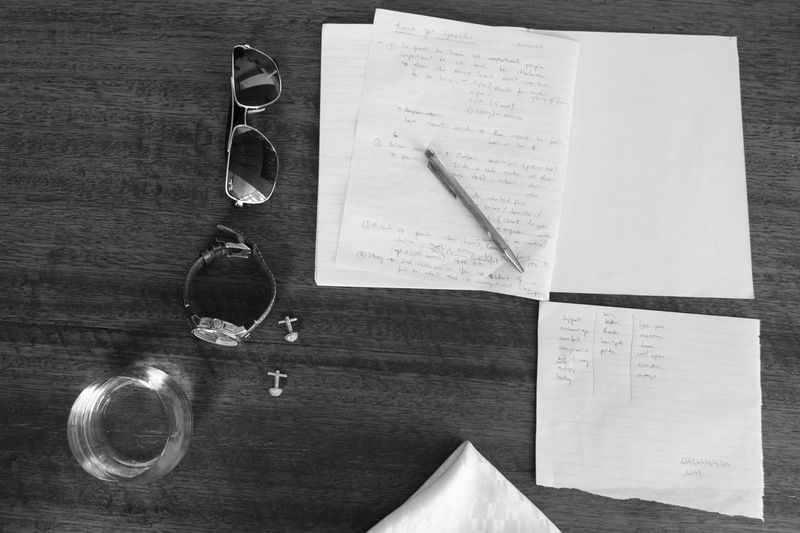 We didn’t fuss over some silly details or try to get some look from a magazine. 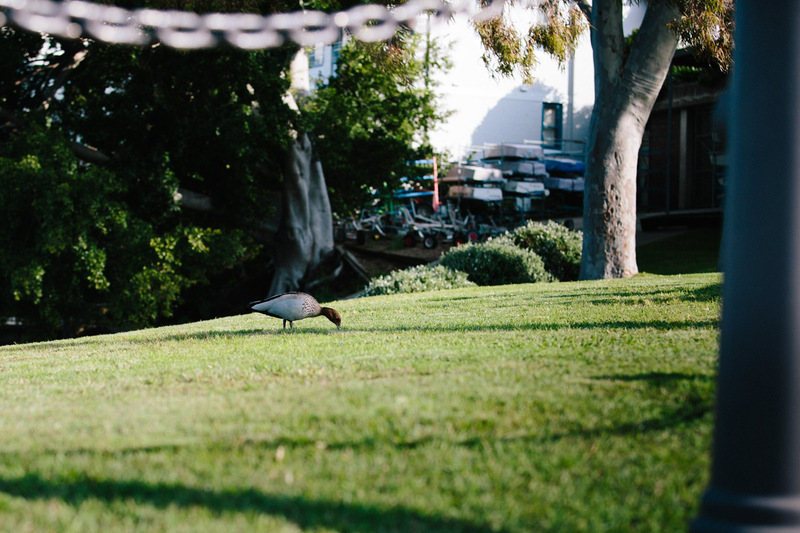 We just walked and talked, and had a great time on the water’s edge. 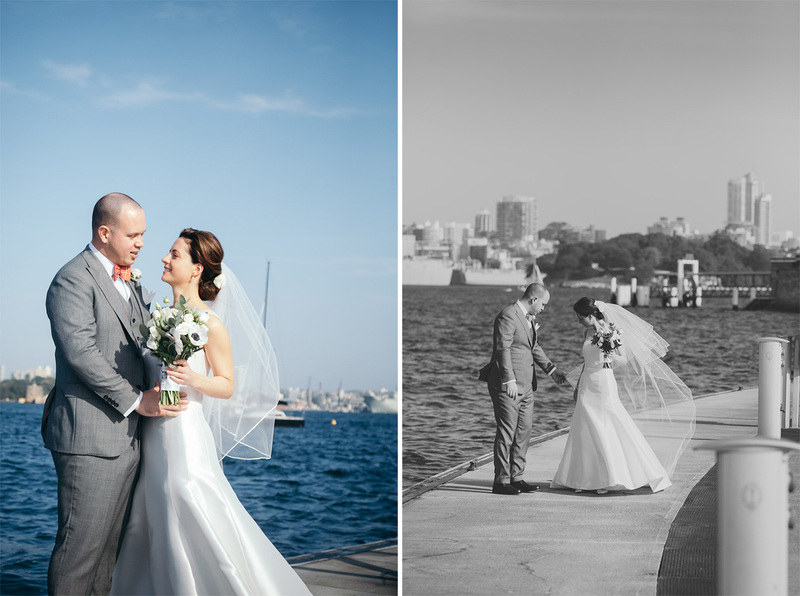 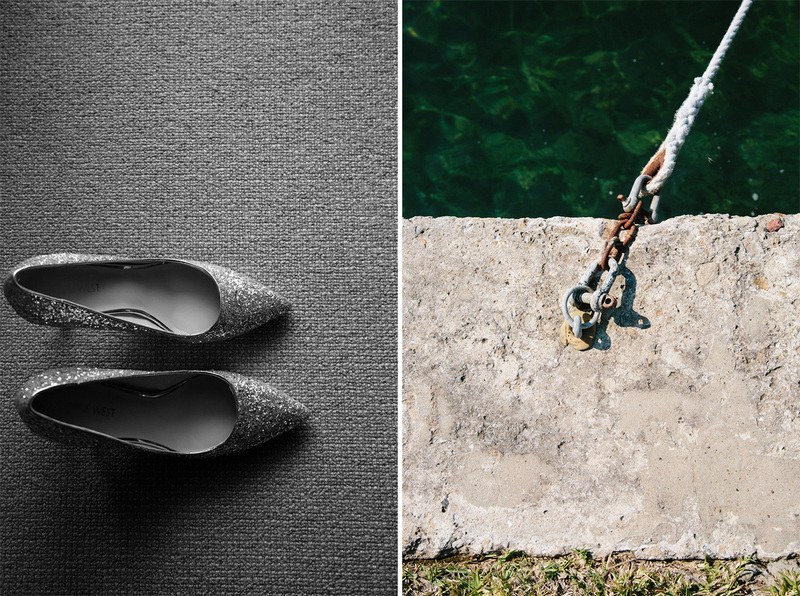 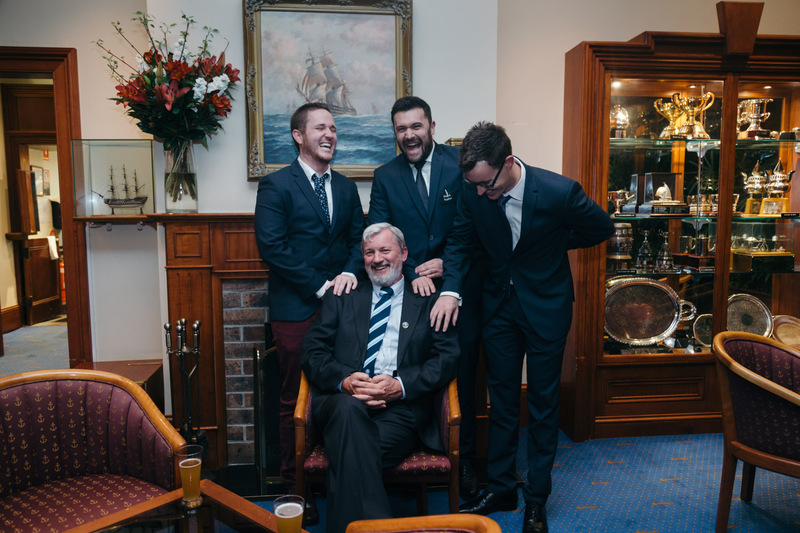 Sarah and Alex’s Royal Sydney Yacht Squadron wedding was actually really relaxing to photograph. 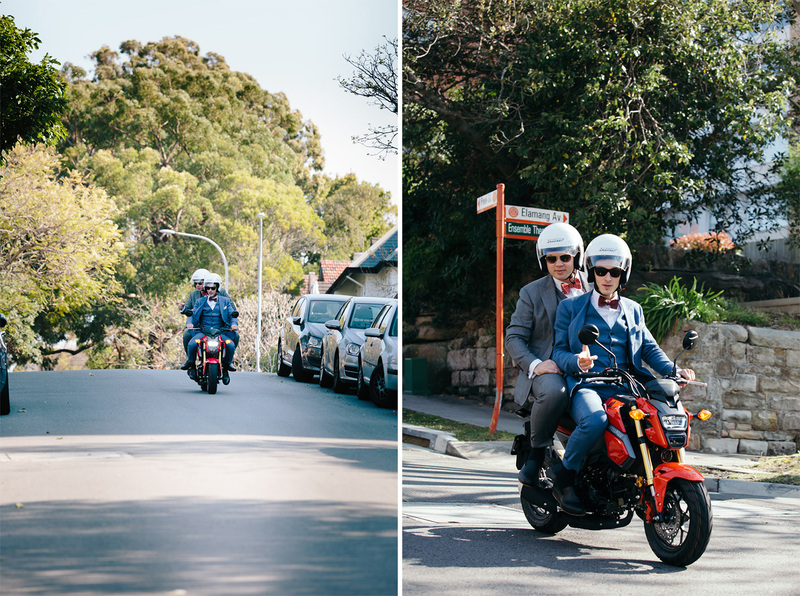 The couple decided to buck the trend a little and do a ‘first look’. 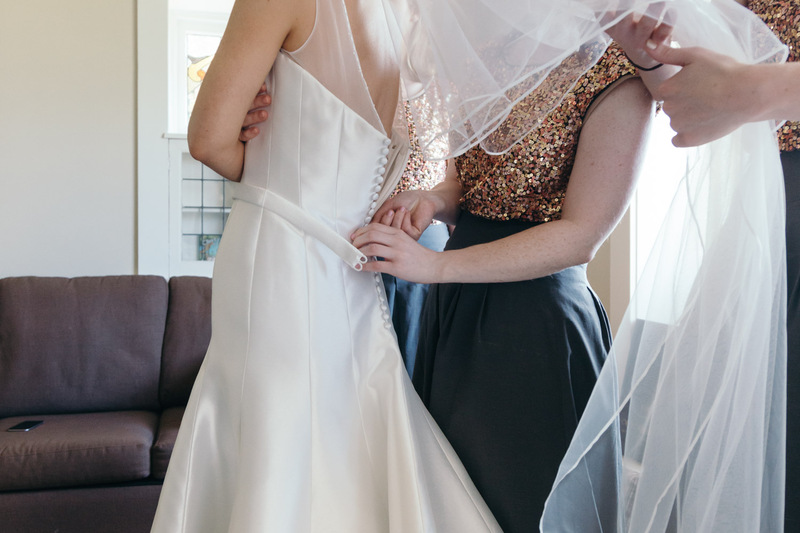 Not sure what a ‘first look’ is? 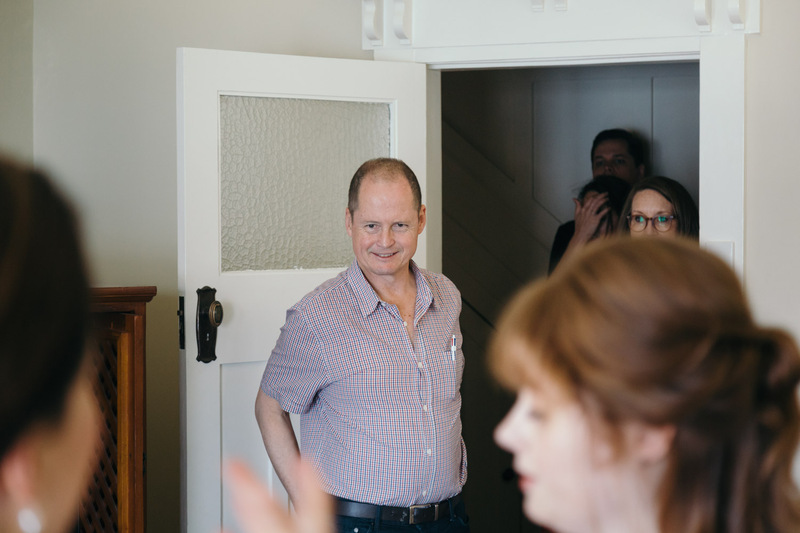 This blog post explains it. 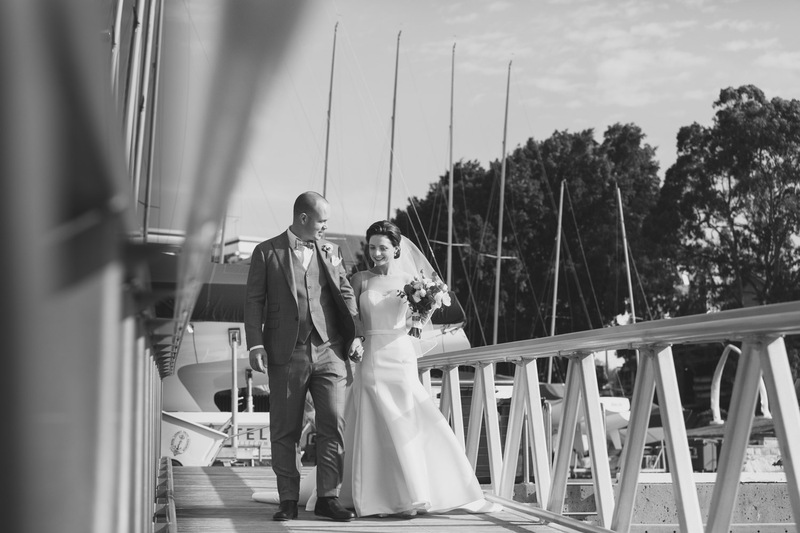 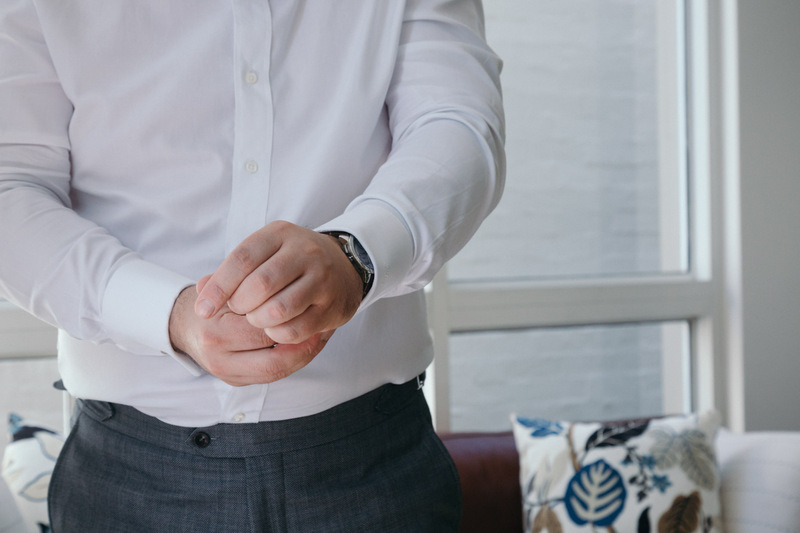 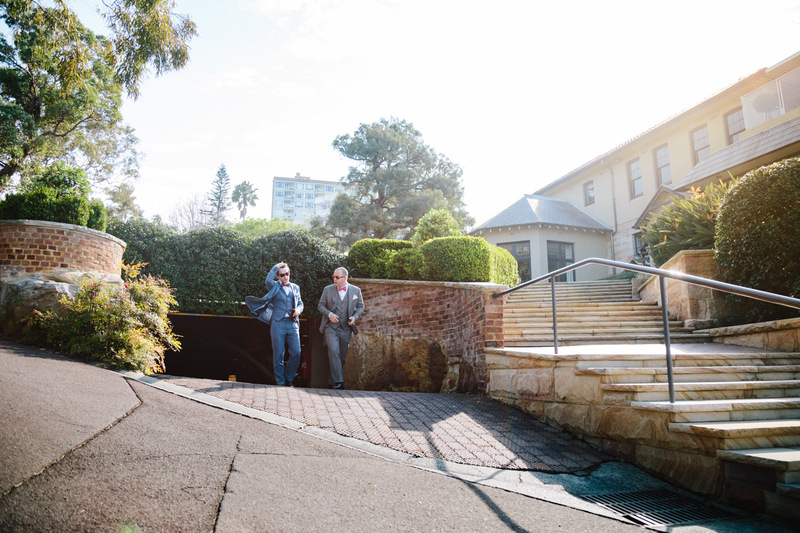 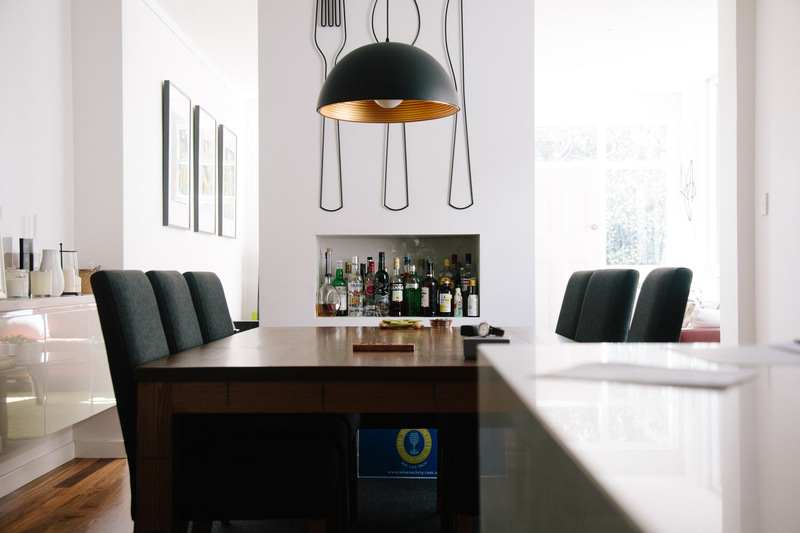 They are local to the area, and everything was contained within the grounds of the Yacht Squadron, so not only was travelling on the day minimised, their schedule was ideal. 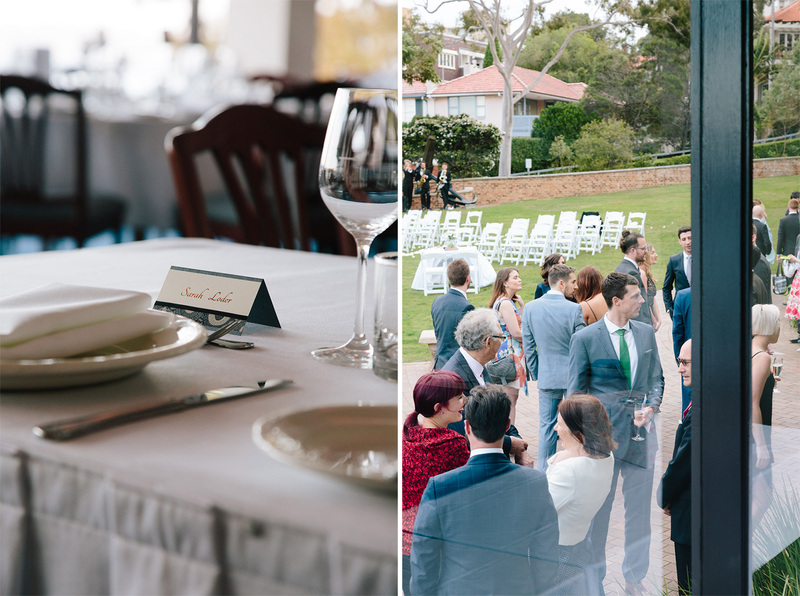 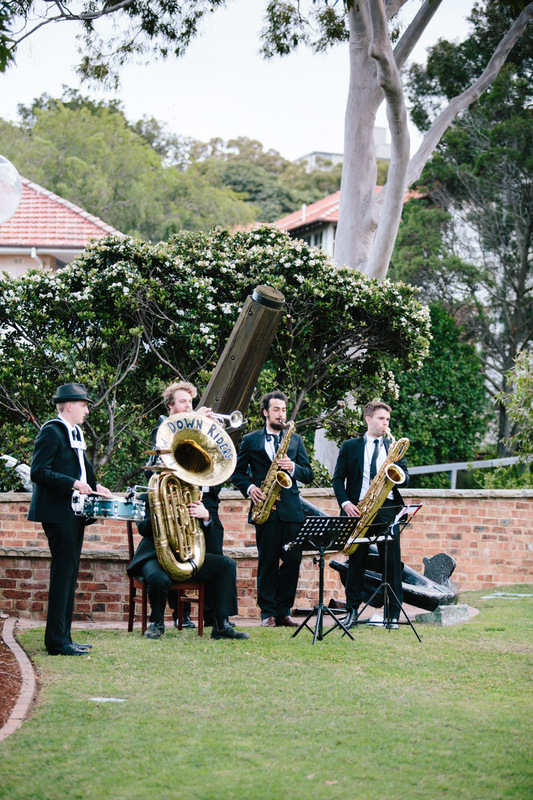 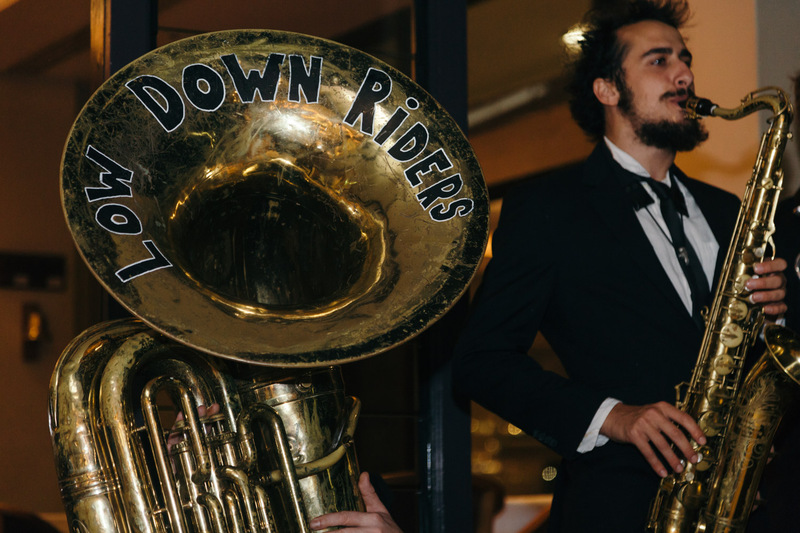 They had an evening ceremony held on the lawns overlooking the water, champagne and canapés whilst listening to brass tunes by the Low Down Riders, and then straight into a beautiful reception prepared by the wonderful staff at the Royal Sydney Yacht Squadron.